The Ifotaka and Mandrare River region (near Fort Dauphin and Berenty) is an area of dry spiny forest and riverine or gallery forest with ninety-five per cent endemicity, home to the proud Antandroy tribe with its fiercely held traditions and a fascinating culture. The forest is sacred to the Antandroy and much hunting is fady (taboo), allowing lemur species such as ring tailed and Verreaux’s sifaka to thrive along with many birds and reptiles. 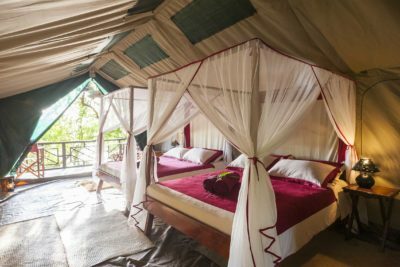 Guests at the only lodge in the area, Mandrare River Camp, can gain an insight into the delicate balance between human and environmental requirements for sustainability on day and night walks, as well as by meeting local people.